Now that you’re sold on the benefits of this therapeutic bath, here’s how to do it right! Firstly, to get the full benefits of this natural crystal salt, it’s vital that the bath has the right ratio of salt to water. According to Dr. Mercola ‘the salt concentration has to be at least the same as the one of your body fluids (approximately 1%) to activate the osmotic exchange ratio’. This equates is 1.28 ounces of salt per gallon of water. Secondly, the temperature matters too! Many people take baths that are hot, rather than warm, but that’s not going to give the best results. When taking a saltwater bath, aim to get the temperature as close to body temperature as you can. That’s approximately 37° Celsius or 97° Fahrenheit. Mercola explains that the bath will remain at a constant temperature as the biophysical composition of the salt is so strong that it causes the molecules to move in a constant rhythm! A 20 to 30 minute bath is all you need to realize many of the benefits listed above (although if you’re just looking to reduce bloating, ten minutes will do). When you get out of the tub, just dry off with a towel – there’s no need to rinse the salt solution from your skin. It’s recommended you rest for at least 30 minutes after bathing – which is why a bath before bedtime is such a good idea. For added hydration and relaxation, make sure to sip on a glass of water or herbal tea. 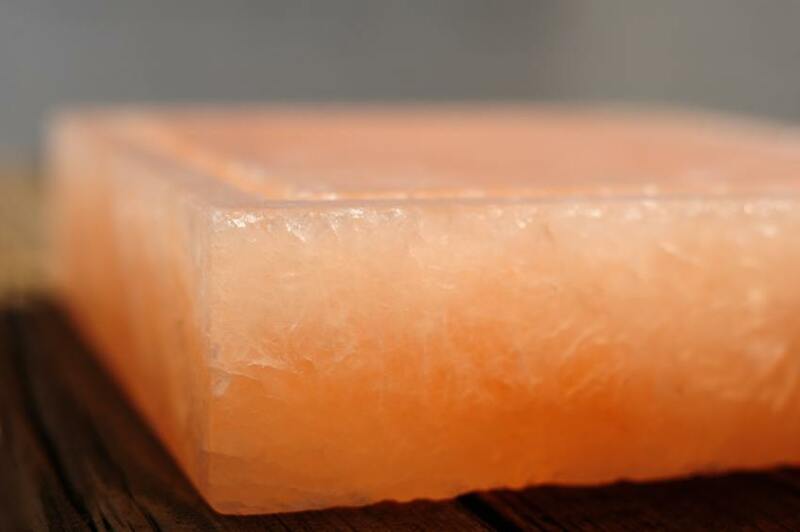 Want to try a Himalayan salt bath for yourself? You can buy Himalayan Bath Salts from this page on Amazon. While some salt bath purists insist the tub should be free from oils and further additives, others experience a therapeutic boost when they add certain essential oils to the mix. Need any of these essential oils to add to your collection? This gorgeous set from Eden’s Garden contains everything you will need. While salt baths have some very beneficial effects, they can place extra pressure on the circulatory system. Those who suffer from weak or poor heart circulation should always consult their doctor first. Likewise, those with diabetes, low or high blood pressure, heart disease, kidney or liver disease, adrenal exhaustion, recent illness, pregnancy, nervous system deficiencies and severe fatigue should all seek advice on salt water bathing. Finally, if you feel dizzy, sick or otherwise unwell when taking your bath, slowly get out and rest until you recover. Sipping on a cool glass of water should also help.